The SparkFun Photon Wearable Shield makes it easy to add the WiFi enabled Photon to any wearables project. Each pin on the Photon is broken out into large sewing pins. Use conductive thread to make your next wearables projects. The large pins are also great for using conductive paint to create any project that needs WiFi. There are even optional smaller pins for soldering flexible wires. 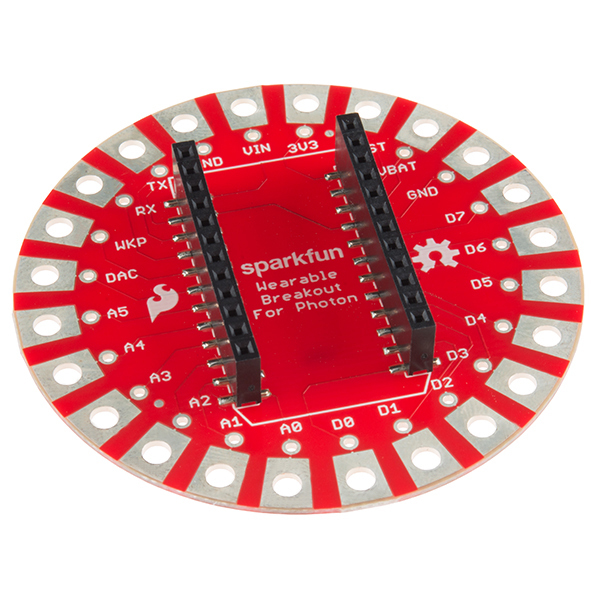 The SparkFun Photon Wearable Shield comes with the headers already soldered on, so you can plug and play!